By Kay Tan in Desktop. Updated on November 22, 2018 . 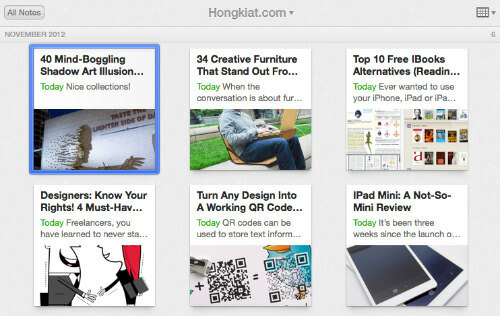 The Evernote team has updated and redesigned their user interface with 100 new features for better user experience. The new Evernote – Evernote 5 – comes with a new look and new shortcuts, which brings quicker access to everything you can do on Evernote. 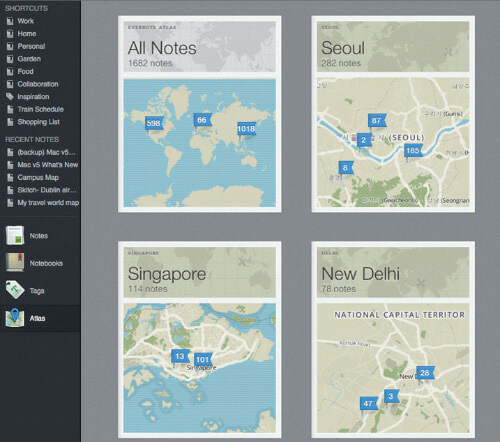 Now your notes can be geotagged and shown on a world map to help you revisit memories of past adventures. 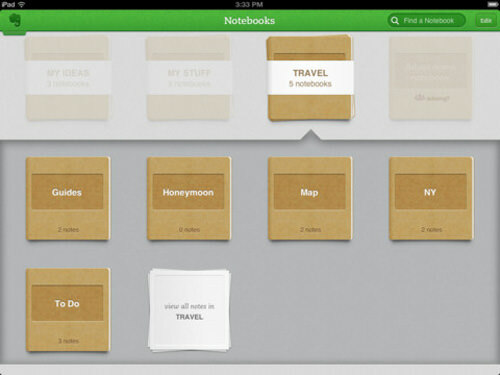 Everything has been laid out in a way where you can easily view and organize your notes and notebooks. 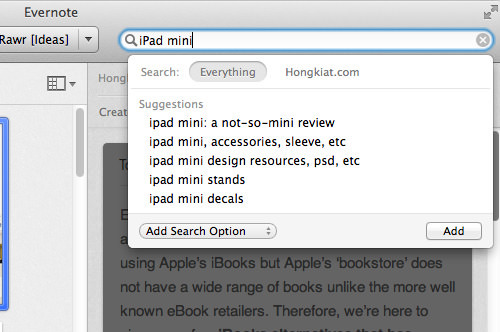 The search has also been improved to predict keywords as you type. 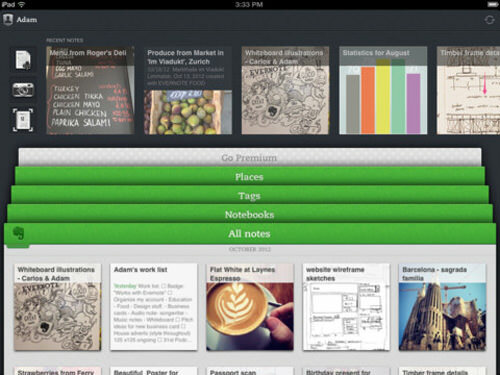 Evernote users on iOS also get an updated app with a cleaner and more accessible user interface. Here’s a quick look into the new features of Evernote 5 and how they can improve and speed up your productivity. 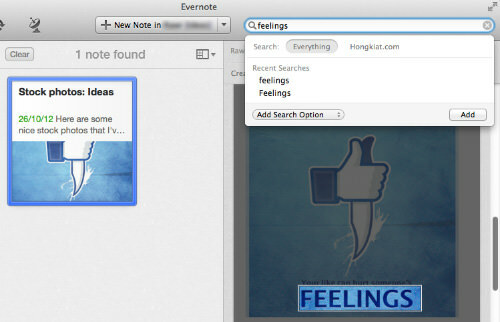 What are the new cool features of Evernote 5 for Mac version? Let’s have a look. The most obvious new and powerful feature in Evernote 5 would be the left sidebar, which easily makes everything more accesible in fewer clicks. The new Evernote allows you to add shortcuts by dragging your most frequently used notes, notebooks, or even tags into the shortcut area. Shortcuts can be organized and re-arranged based on your preferences and priorities. 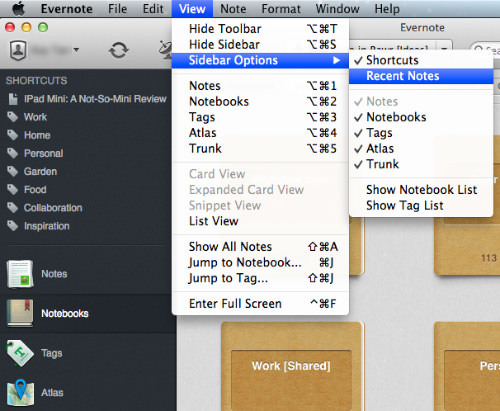 The 5 most recently added or modified notes automatically appear in the Recent Notes section. Missed something? Just open the note up from the left sidebar again. The new Cards View lets you browse and preview notes in a better way by displaying notes as easy-to-scan Cards with important information. 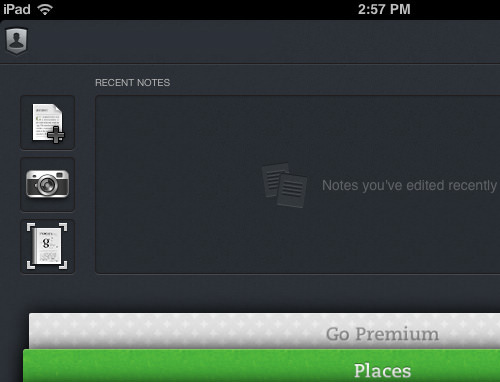 You can also display a huge collection of notes with Expanded Cards View now. 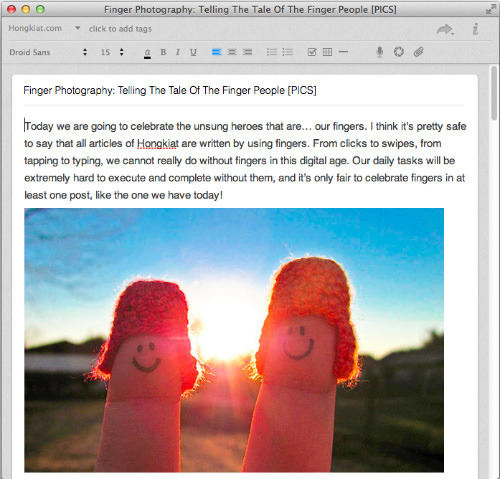 Evernote 5 has a new scalable note editor which lets you create a new note in a nicer, more flexible frame. 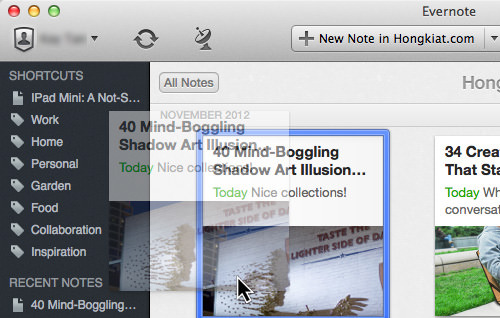 You can also activate full-screen single note view when composing a note to avoid distractions. 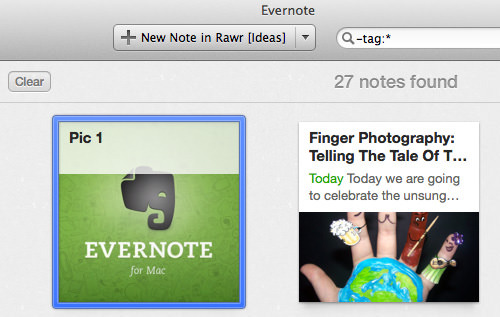 Evernote has done a good job on its search feature. If you don’t already know, everything in Evernote is actually seachable, everything including the contents, tags, even text inside an image, handwritten notes or PDF files. 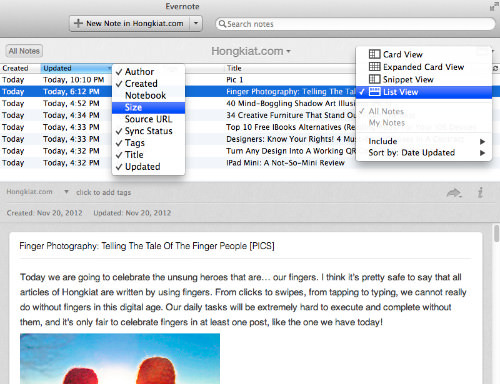 Type Ahead Search is the smarter search in Evernote 5. It’s designed to complete your thoughts with suggestions based on what you have in all your notes. 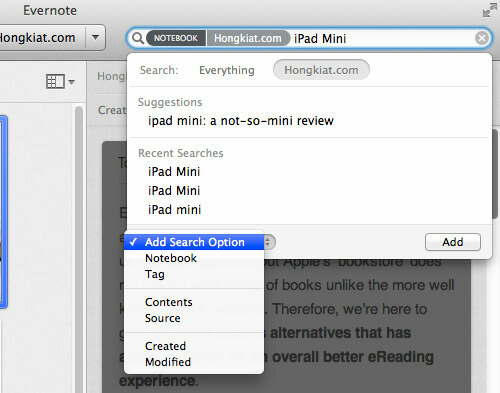 Seach suggestions will be categorized by notebooks, tags, recent searches and saved searches. Everything is grouped together in one place so you can look for what you want fast. But if that is still not enough, here’s an Add Search Option to help you filter your search and get the results you want. 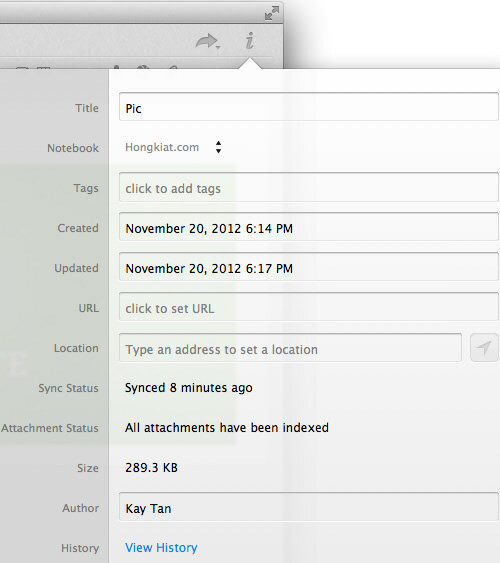 With Evernote 5, you can also now perform searches in local and shared notes at the same time. 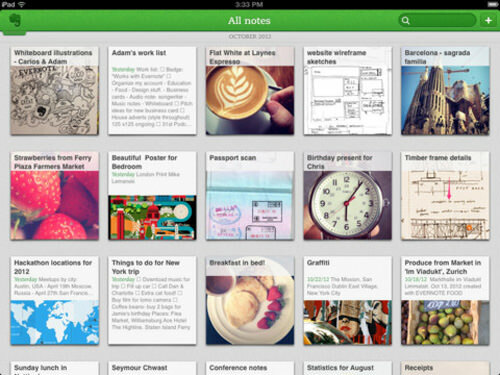 Evernote 5 breaks down the walls between your notes and shared notes. 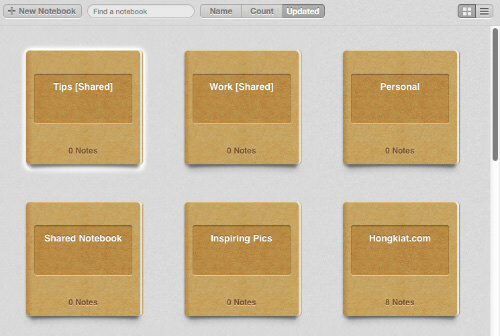 Unlike the previous version, all notebooks are now placed in a single, same view for easier navigation. With the improved Activity Feed, you can stay up-to-date with any changes made in Shared Notebooks. If you’re running Evernote on the Mountain Lion OS, update alerts will be shown in the Notification Center as well. Notes created on the Mac are now tagged with location information for Atlas. Atlas is an outstanding note visualization feature that let you browse your notes by geographic location. It is smart enough to set the location where your notes are created. To update a note’s location, simply type in a place manually or click the compass arrow in the note info. #1. 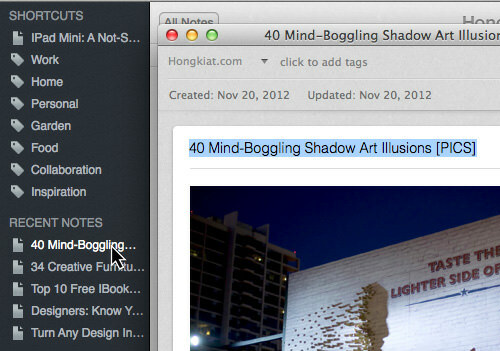 Right click Notebooks in the left sidebar and click on the Show Notebook List to expand it in the sidebar. The same can be done with Tags. #2. Go to View > Sidebar Options to hide leftside bar item(s) by unticking them. #3. If you prefer the List view, you can choose that view to display all your data in any of your notes within the same single view. It also provides information about which notebook that note is in, whether that notebook is shared with others, the author’s name, the relevant tags and more. #4. 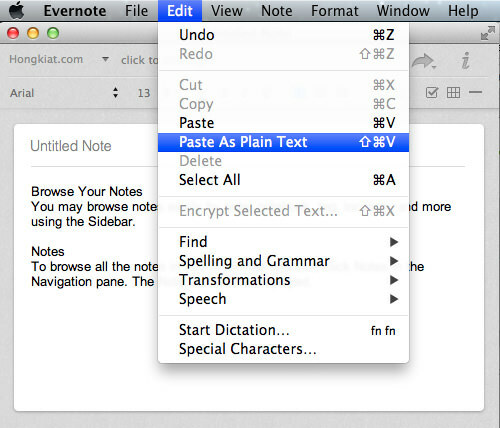 To insert a copied content into a note without any formatting, go to Edit > Paste As Plain Text. #5. To save a search, go to Edit > Find > Save Search. #6. 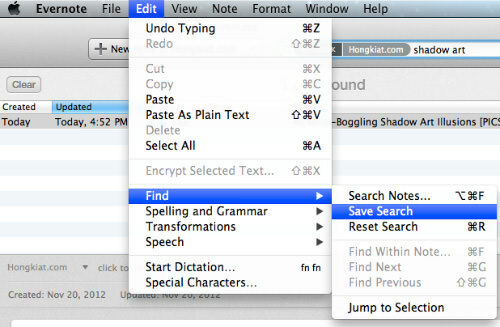 Last but no least, to search notes without tags, simply type -tag:* in search. 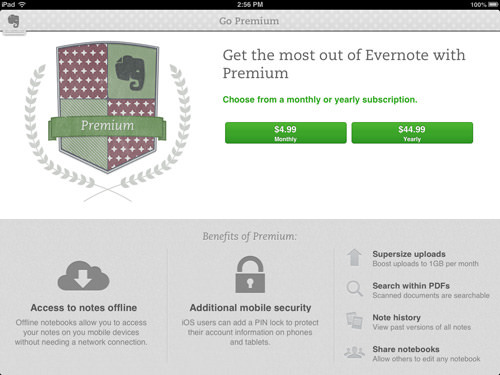 Evernote 5 has also made changes to their iOS app. Here’s what’s new in iOS. Evernote 5 on the iOS comes with a brand new home screen design which lets you navigate through your Notes, Notebooks, Tags and Places. Here, you can also access Premium features with ease. At the top of the home screen, you’ll get a coverflow list of your recently edited notes. Jump easily between notes. Note that this coverflow of notes is not available on the iPhone because of its smaller screen. Tapping on the headers will bring it up to full screen where you can browse its contents; tapping on the green header again will bring you back to the home screen. They’ve also added easy shortcut buttons. There are three buttons for you to use to create a new text or photo note and easy access to the page camera feature. 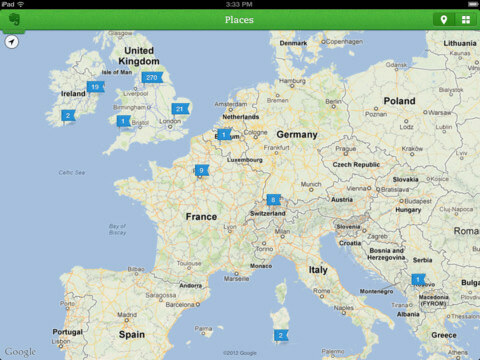 You can also see your local and shared notebooks all in the same view in iOS. 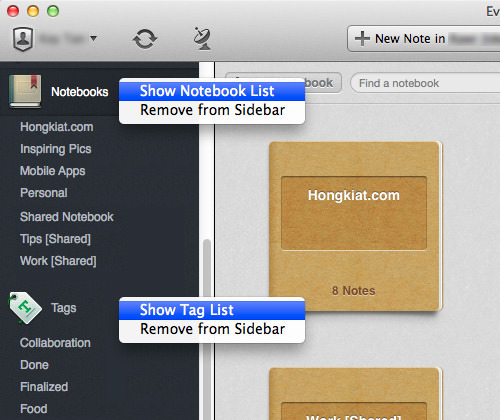 You can even choose to hide shared notebooks. When you turn on locations on your iOS device and take notes with the new Evernote 5, you can relive memories as it will record where your notes were created. All your notes will be compiled on a world map with the number of notes created in that area displayed in each area. You can navigate to individual locations to see the list of notes that were created at each location. If you’re a Premium Evernote user, you’ll enjoy this new feature as they have easily integrated premium features into this update. Features include being able to access notes in notebooks offline, share notebooks, search within text PDFs and added app security with a PIN lock. Overall, we’re very satisfied with the new Evernote updates on iOS and Mac and I’m sure after you give the new update a go, you’ll love it too. It has enhanced organisation features and faster access to your frequently used notes or notebooks. As for Windows users, you’ll have to wait a bit for the new Evernote 5 update to arrive on your desktop, but if you have a tablet which is running Windows 8 or Windows RT, follow the link to update your Evernote.